Just to keep y’all up to date on the hep doings of the In Crowd — Robert Ariail and I gathered last evening in the official Warthen/Ariail Memorial Booth at Yesterday’s, which is one of Five Points’ greatest attractions. Or should be. What we’re charging these days for freelance gigs (my prices are lower than his, but then I’m not Robert Ariail). My upcoming trip to England, where I hope to find a pub as homey and welcoming as Yesterday’s. (I’m not sure this tops my wife’s list of priorities for the trip, but it’s high on mine.) A booth named for me is not a prerequisite. Social media, which Robert’s not into, so I tried to engage his interest by showing him this. He still wasn’t sold. 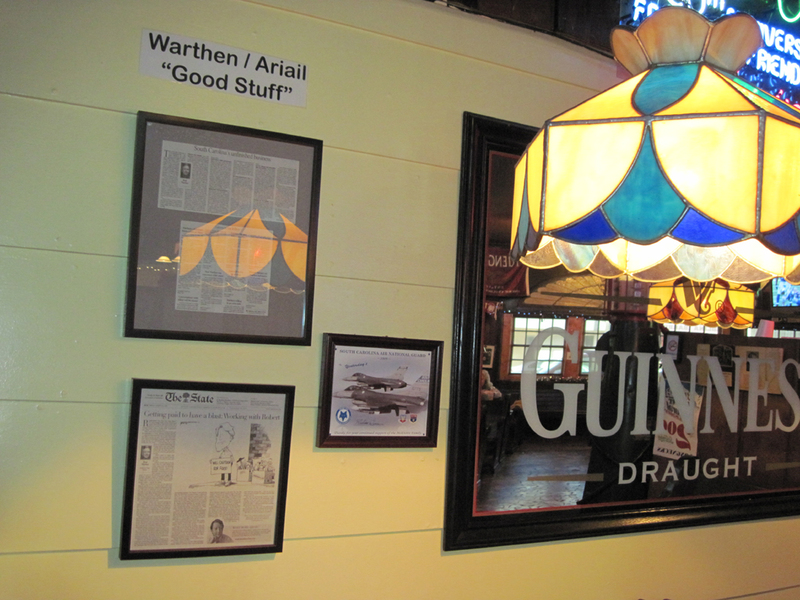 So then I Tweeted this out and showed it to him — “Having a pint with Robert Ariail at Yesterday’s, in the official memorial Warthen/Ariail booth. Not everyone can do that…” — and he still wasn’t impressed. How, take it all around — price, flavor, what have you — you really can’t beat a pint of Yuengling. Oldest brewery in America, you know. Hey, Mr. Yuengling distributor, take note: Don’t you think it’s about time you took out an ad on the blog? Like Yesterday’s? 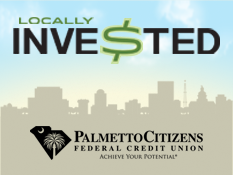 Welcome new advertiser Palmetto Citizens FCU! 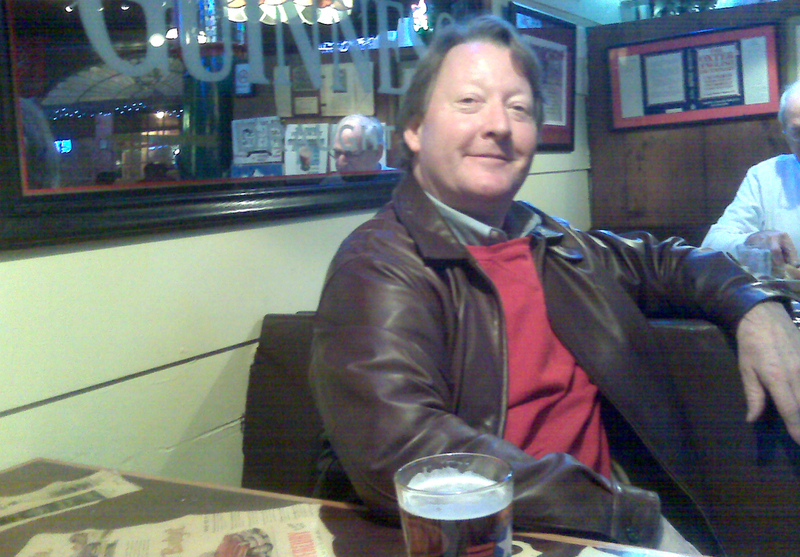 This entry was posted in Beer in the News, Business, Contact report, Midlands, Personal, Social media, The State on December 14, 2010 by Brad Warthen. Yuenglings is good, well, until you’ve had Yuengling’s Premium. Lord Chesterfield, not so much. You’re heading for England shortly? I’m headed for Israel. Araial’s rate card is higher, in part, because he doesn’t flood the market for his output with tweets! Under the Guinness mirror. Not cool. Is Phillip actually suggesting that beer tastes better at room temperature? Nothing quite as refreshing after working outside on a hot day as a pint of warm beer. Stockpiled Sam Adams Octoberfest. Down to my last 5 12-packs. Ought to make it past New Year’s Eve. I wish that Robert would join Twitter so I’d hear when he posts a new editorial cartoon. I could start a http://www.changedetection.com/ subscription to learn when his front page changes. @WT: depends on the beer, but if Brad will be drinking bitters or ales over there, they will probably be served at “room temperature,” but that phrase means something a little different than we understand it here…more like “cellar temperature,” that is to say, slightly cooled but not ice-cold. The flavors of these kinds of beers emerge more favorably when not served very cold. The Brits do serve lagers and they tend to be served colder, as they should be. The idea of beer as “refreshment” rather than “taste” is more of an American thing, especially when you’re talking about tasteless beer like Bud or heaven forbid, a low-carb or light beer, which is really just slightly-beer-flavored-seltzer. On a hot day in SC, I would agree with you there is definitely no point in drinking something like that any temperature other than ice-cold. @Phillip – Thanks for the explanation, but I’ll take a cold Budweiser over a warm beer that I have to choke down with thoughts of gallons of backwash in my head. “yummy pub fare”… you do realize that you’re talking about English food, and I’ll bring up the “choke down” description again. @Norm- 5 12-packs (60 beers) and you’re worried about making it to New Years Eve which is 16 days away??? You might want to make AA a New Years resolution. Budweiser and for that matter Yuengling are both pretty nasty no matter what temperature they’re served. Give me a good ole Guiness Stout any day. I’m sure the bitters Phillip described is pretty dang good too. Brad, if you’ve never been to Group Therapy you may want to swing by there one evening. I haven’t been there in 20 years but if it is still the same it is probably quite similar to an English Pub. @WT: that image of English food is a little out-of-date…(Think now of all the celebrity English chefs out there…) I’ve no doubt that there’s plenty of bad pub grub in the UK that lives up to the old stereotype, but just as with the food/wine/beer/coffee revolution in the US of the last generation, so have similar changes been taking place in Britain, not least of which has been the emergence of the “gastropub.” My wife and I had several quite decent meals in pubs throughout the Cotswolds on a 2007 trip, and I’ve no doubt that, should Brad again get reliable recommendations from locals, he can find the same. Actually, I like Budweiser. Yuengling, too. And Guinness. Last night with dinner I enjoyed some Michelob Amber Bock, which I hadn’t had for while. I also like Dos Equis Amber. But usually I go with Bud or Yuengling because it’s cheap. Truth be told, I like most beer. Except light beer. And even then, I’ll make an exception for Amstel Light. I’m glad to hear one can get a bitter at a pub at the traditional temperature. I seem to recall having read a disturbing report recently that the Brits were going more and more for cold beer. But maybe that’s just the lager. My own notion of British cuisine is rather outdated limited. The only British writer I’ve read who deals regularly with food is Patrick O-Brien, so I think in terms of salt beef, salt pork, dried peas, ship’s biscuit and grog. And plum duff on Sundays of course. I would like that because I could eat the beef, pork and peas, and would not starve. Don’t think I’d do too well at the captain’s table, though, with all that suet pudding and such. Tongue-in-cheek. In reality, I’ll likely be drinking Octoberfest on our anniversary in February. My preference (in the realm of Yuengling) is for a Black and Tan. A native-born Irish friend says he likes it despite the name. I found one six-pack last year. I learned.